The area around Zermatt in Switzerland is both famed for its water and formed by it. The Zermatt region is well-known for the quality of its drinking water, as well as for the number and beauty of its streams and lakes. Zermatt boasts over 50 lakes and nearly 1,000 springs! Indeed the original name of the region meant “meadow in an area of springs” in the local dialect – a very apt description for place which includes 94 springs, 4 mountain streams all of which merge in the Zermatt region. In Zermatt you are never out of earshot of water; whether the groans of the glaciers making their imperceptible progress down the valleys, or the babbling of the brooks and streams – water is the sound track for this part of Switzerland. Without water the distinctive Mt. Matterhorn and surrounding mountains would look nothing like they do. It’s the destructive power of water frozen in the form of glaciers which has literally carved out the mountain valleys. The slow-moving glaciers leave behind piles of moraine rocks as they retreat, which in return become the basis of the beautiful alpine flower meadows the area is famous for. Zermatt region is home to over 50 mountain lakes, though the number varies depending on the ever-changing mountain landscape. The natural “mirror” of the Matterhorn – the Stellisee Lake is an easy family outing along the Five Lakes Trail. While at the nearby Leisee Lake, swimming and sunbathing are a popular activity. The drinking water in Zermatt is probably some of the world’s finest, and quite possibly better than some that comes out of “mineral water” bottles. That’s because the Zermatt Water Authority takes all of their water from spring water. The water comes out of the tap at a chilly 4C and supply pipes are short, minimizing the chance of contamination. 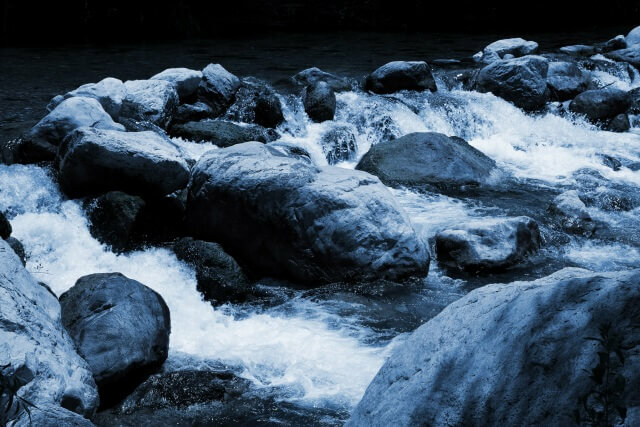 The water source is pure because the water flows across bare, hard mountain rock such as granite which means no minerals are picked up along the way. Plus there is no nitrate contamination, because there is little to no farming in the high alpine meadows. Microbe levels have been tested as the lowest in Switzerland, and that’s not to say the rest of Switzerland is bad! If you are interested in visiting the Zermatt area whether to admire the views water has created, to walk, hike or play on the lakes and rivers, check out our walking tips pages for Zermatt and the Valais region.